France should introduce a tax on large luxury cars which emit higher levels of CO2 than smaller models, according to a policy document supported by the country's economy minister. The move could help slow a drop in demand for mass-market models built in the country, La Tribune reported. The tax, if implemented, would hit German premium carmakers such as Audi, BMW and Mercedes. Renault and PSA/Peugeot-Citroen dominate the market in France for subcompact and compact models but sales of their upscale models are low. The luxury tax suggestion is made in an automotive policy document spearheaded by France's new economy minister, Pierre Moscovici. It was written before the country's general election last month and was commissioned by elected officials of towns with auto plants. The white paper seeks to halt the decline in car production in France and protect the country's auto plants from closure. The study presents the luxury tax idea as a way of protecting the environment by favoring smaller, less-polluting cars, though it may be a form of protectionism for PSA and Renault, as its goal is stated as "winning back produciton of 500,000 vehicles a year," La Tribune said in a report on Wednesday. The French industry department is studying the document, the report added. Renault and PSA rely heavily on sales in their home market. 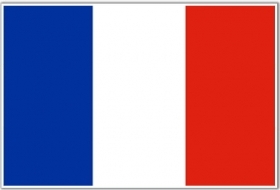 French light vehicle sales declined by 17 percent to 197,671 in May compared with the same month last year, according to the CCFA industry association. PSA car sales fell 28 percent, while Renault's volume was down 14 percent. In the past five months, French car sales dropped 16 percent to 1,009,379 with PSA showing a 22 percent decline to 313,299 units and Renault down 20 percent to 248,200, according to CCFA.